Balanced Health Chiropractic of Marshall: How Strong Is Your Foundation? When we talk about the foundation of your spine, I am referring to your pelvis. As you can see in the picture, on the left side is a pelvis that is normal and on the right side is a pelvis that is not level. 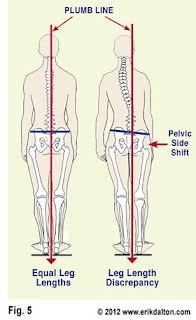 You can also see that the uneven pelvis causes the rest of the spine to shift out of normal spinal alignment due to the uneven foundation. Think about every step you would take when you are just walking and how much extra stress that could put on your ankles, knees, hips and spine if you left the uneven pelvis uncorrected. 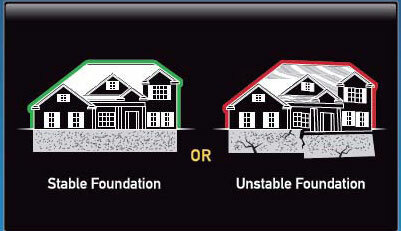 I would guess just like this picture of an unstable foundation of a house, it would start to fall apart. You could expect the floors to start to creek a little bit or see some cracks in the drywall. And in the case of our bodies, we may start to notice some secondary conditions. There are many treatments options for each of these secondary conditions. A lot of these options are for quick relief of the issue. These quick fixes are only for temporary relief which sometimes that may be exactly what you want. We can choose to patch the issues by patching the creaky floors or patching the cracks in the wall or correct them by correcting the foundation. At Balanced Health, we focus on neuro-structural correction by utilizing structural radiographs, neurofunctional exam, and a structural analysis in an effort to detect and correct the structural abnormalities that are the cause of your secondary conditions. We focus on correcting your foundation which keeps you from dealing with the same issues over and over again. 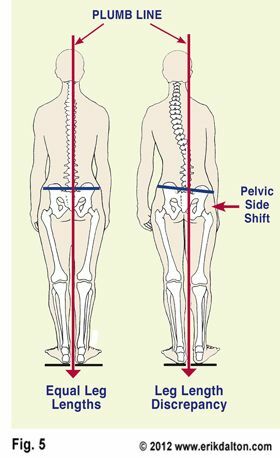 Correcting your structural abnormalities will relieve pressure on the discs, relieving pressure on your nerves, thus relieving your secondary conditions. 1 Add chick peas to a food processor along with sun dried tomatoes, 2 Tbsp oil from jar, lemon juice, tahini, garlic and salt. Pulse for 1 minute then scrape down sides and bottom of jar and pulse one minute longer. 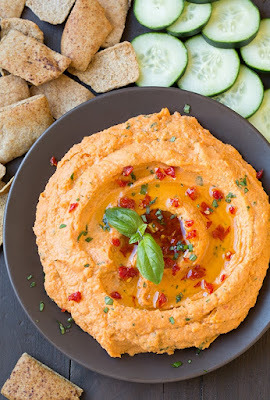 Add 2 Tbsp of the liquid from chick pea can then pulse 2 - 3 minutes longer, stopping and scraping down sides and bottom of processor once halfway through (add in more liquid to thin if desired). Add basil and pulse until just minced into hummus. 2 If desired serve topped with more olive oil from sun dried tomato jar, additional fresh basil and finely chopped sun dried tomatoes. Serve with pita chips or fresh veggies.Can you imagine what your body feels like if you are running with a foundation that looks like one of these below?